Dr.Eric Chatterton Eilliston M.D. came to Porthleven in 1911 before the First World War. Sir George Elliston, a farmer and M.P. for Blackburn, Canon Elliston of Ely Cathedral and Mr. Rowley Elliston, Recorder for Yarmouth. Dr. Eric Chatterton Elliston M.D. He came into the area as an assistant to Dr. Henry Speight and later became joint partner in the Practice which became known as ‘ Speight and Elliston ‘. The 1914-18 war split the partnership, Dr.Speight became an Army Doctor, but did not return to practice in Porthleven after hostilities ceased. 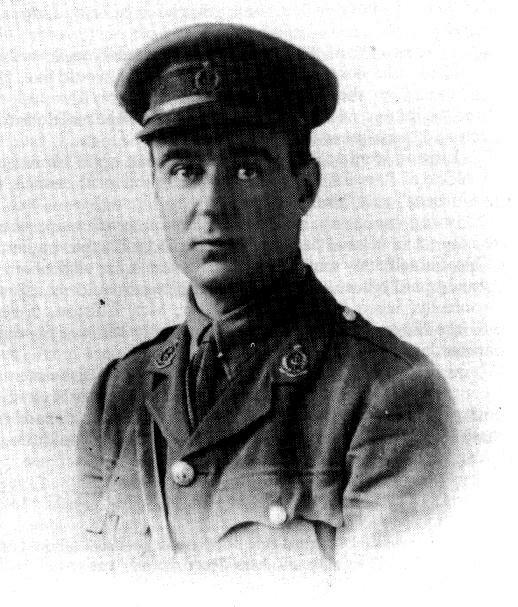 However, having also served in First World War in the Royal Army Medical Corps and having seen active service in Italy, Dr.Elliston returned to Porthleven and was welcomed home by a crowd of local people and the village band. Dr.Elliston was much loved and respected by all. However, he was a tyrant to those patients who tried to pull the wool over his eyes or attempted to cash in on his sympathy or the lead-swingers which all communities appear to have. The Doctors prompt treatment, if he detected a faked cowplaint, was a kick in a spot where the seat of the trousers is supposed to protect (?) but when there was real cause for concern and his very wide experience was required, he was all attention and giving of his very best. When he gave up his practice and retired he went to the Isle of Man to live. Porthleven residents and former patients, unknown to him, made a subscription and presented him with a gold watch as a token of their affection and as a mark of esteem to show the respect with which they held him. Doctor Elliston was so overcome with emotion that he was unable to speak any words to express his sincere thanks at the wonderful gesture.